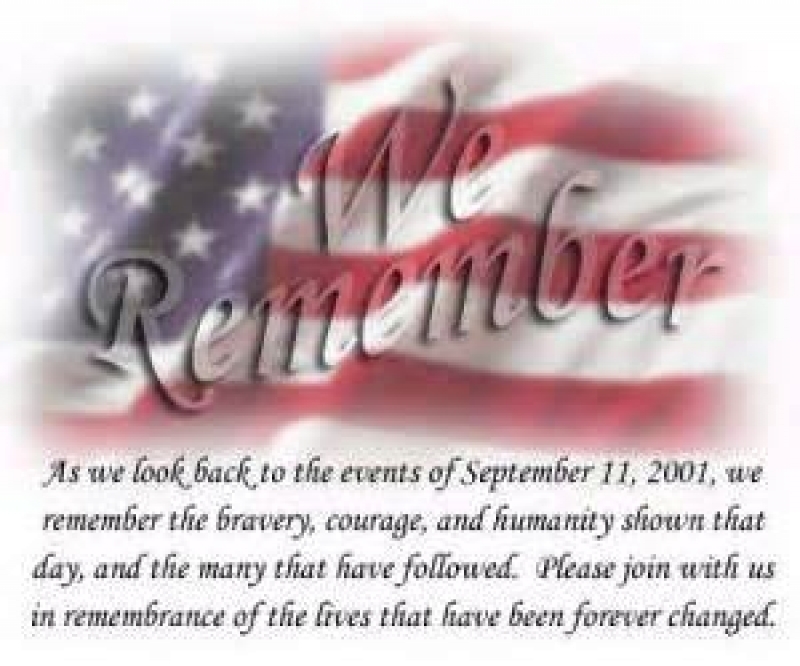 Today we as Men, Women, Fathers, Mothers, Children, Firefighters, EMTs, Paramedics, Police Officers, and others stop to remember the tragedy that occurred on September 11, 2001. After 13 years the images still in our minds and the names and faces of our fallen Brothers and Sisters forever remain in our hearts. We shall remember this day not for the horrific loss we endured. Rather for the outstanding display of Heroism, Bravery, Sacrifice, and Humanity that was displayed that day. The FDNY made the Fire Service proud with their unfaltering acts of Heroism, Bravery and Sacrifice. While all over the United States people reached out to offer help. Watching the footage you see random acts of Humanity preformed by complete strangers. It was our nations worse day, but in some ways our best day. So we ask you to join us and take a moment of silence at 9:00 am to remember those who we lost that day. For the ones who have inspired us with their Bravery, awed us with their Heroism and saddened us with their Sacrifice. 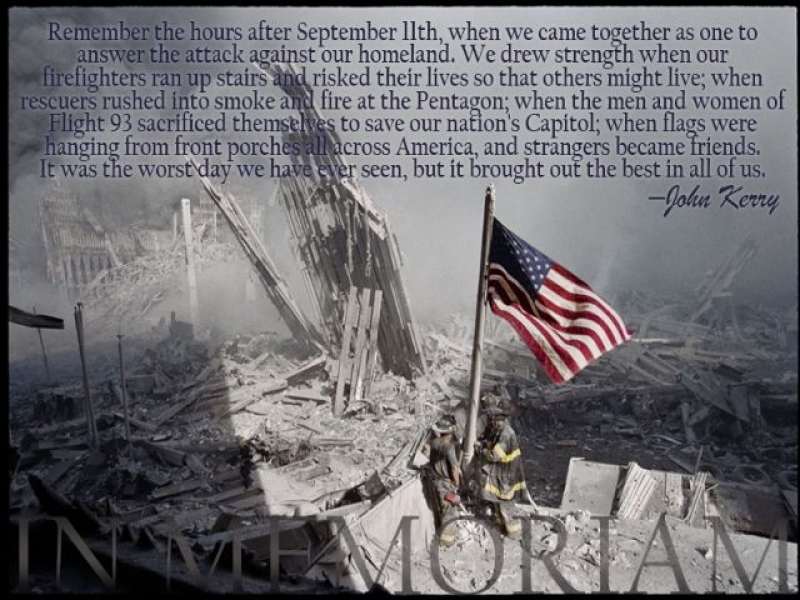 May We Never Forget !!! !